It’s been quite a while since I have cared enough about what was going with with Call of Duty to bother to even post anything here but with the recent E3 events that just wrapped up on promoting Infinite Warfare and Modern Warfare Remastered – and also the somewhat large update for Black Ops 3 with the new Specialist – and then even quite possibly because I actually got stoned tonight for the first time in 12 years (dam how I have missed that feeling) – but the conclusion I have come to at the moment is that the state of Call of Duty in general isn’t good. Now of course I tend to always talk in the direction of the PC because I really don’t care about consoles at all; but things really don’t look good for this upcoming release. I am actually a fan of the Black Ops series in general – I know there are quite a few other old schoolers out there that really hate the series in general it but overall I feel the Black Ops titles have definitely been the best games over the last few years. I honestly haven’t enjoyed an Infinity Ward game since Call of Duty 4 – and to be blatantly truthful – Advanced Warfare from Sledgehammer Games was a complete failure on the PC. In my opinion Treyarch has always seemed to work with and for the PC community a little more than the other two studios. Why that is I’m not sure; but I applaud the effort and I am already curious as to what their next game in the series will be like. I can still see a very tiny vision of Treyarch making an older style gritty early combat game that delivers everything I have been missing over the years and made me fall in love with COD. However; with my love for Treyarch out on the table – now I have to complain a little bit. Why have the content creation tools not been released yet? I know there are plenty of individuals working in the Alpha version of the tools and by all means that is great we are to that point; but planning a release for the tools this far into the games life is really hurting the future use of them. People will still love to just have them but so far into the games life we can only hope that players just come BACK to the game to get into custom content because so many have already left the game with the normal lack of interest at this point. My guess is a final version of the tools won’t be made available until after the DLC season is complete. This would make sense from the way Activision runs things and in my eyes be almost a backup plan with the chance of additional copies of the game getting sold once Infinite Warfare is released and received poorly. Speaking of Infinite Warfare being received poorly… I just can’t believe the hatred from the community towards anything Infinite Warfare related communicated by any of the main Call of Duty accounts online. The hatred really outweighs the good by 9 to 1. It’s been well discussed that this game has actually been in development since Ghosts was wrapped up on the new three year cycle but the amount of dislike towards it is laughingly shocking. I guess we can go with the whole “doing something new thing” is a good thing but I just can’t see how this release is going to go well at all. Especially for the PC. I like to harp on player count numbers with the PC a lot but I think this game will hit a new low much sooner. 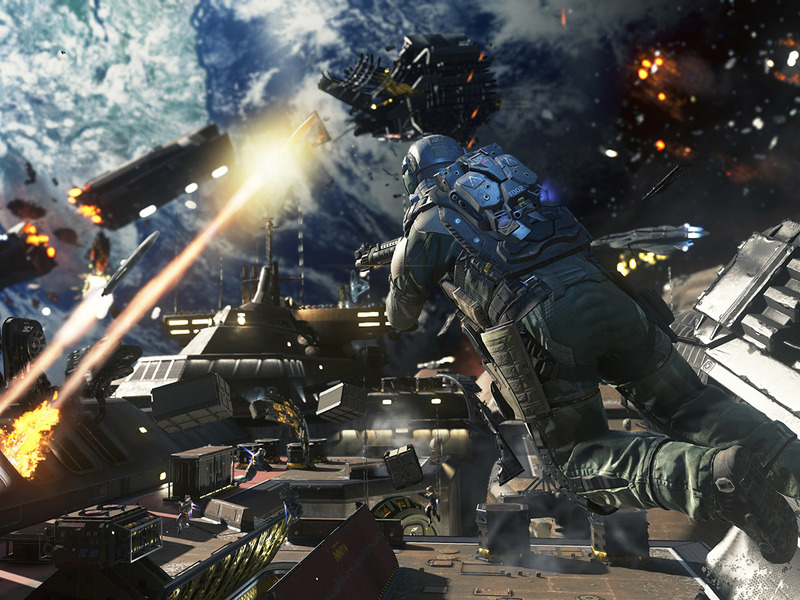 It’s bad enough for player counts on a new release as it is (although Black Ops 3 did well – not great but well) but this time around we will essentially have two new releases at the same time with both Infinite Warfare and Modern Warfare Remastered; which essentially takes player count numbers down to half of the PC population right from day 1. This will not be good at all for longevity of either game in my eyes – although I actually believe Modern Warfare Remastered might outlast Infinite Warfare; even with the reduced level of content that can only be found in it’s older brother COD4. For myself; unless I see something drastically different unveiled for Infinite Warfare multiplayer – this will be the first Call of Duty that I won’t be purchasing (besides Modern Warfare 2). I have no desire to be anywhere near space when playing Call of Duty and along with the background/setting of the game that has been shown, the game mechanics that have been revealed and talked about and the general somewhat half-assed delivery I am almost expecting from Infinity Ward – I really don’t want anything to do with the game at this point. I have never felt like this on releases over the last few years and they have always sparked an interest in some form or another but right now I almost cringe when I see gameplay from Infinite Warfare. To be clear I haven’t really played a Call of Duty single player since World at War – I want to but just never seem to for some reason. For me it’s about the multiplayer and although I can play Black Ops 3 and enjoy it most nights – it is kind boring already. Not so much the game and it’s play style – just the complete lack of variety to be played. With so few players on the PC the game mode selection is very slim and I am so tired of playing the same game modes. I really enjoy playing objective game modes (more than just DOM) and to buy Infinite Warfare with a 50 percent reduced population from the very start leaves no possibility of doing that for any length of time. I also refuse to purchase Infinite Warfare just to get Modern Warfare Remastered – and honestly I don’t really want it because other than graphics COD4 still offers so much more in content value. In the highly odd scenario that Infinity Ward allows custom content on the PC version that could make things interesting but given the studio’s history I really don’t see that happening. Two games for the price of one sounds great but once you start thinking about the small PC population two new games quickly turn into two very dead games and dead Call of Duty games on the PC is something I think I have finally grown tired of.